You all know my friend Barry, who takes the MeerTrekkies to meet the humans (and aliens) from Star Trek, don't you? His July event requires him to carry no less than three meerkats at a time - and his pocket just can't accommodate that many little paws so I thought I'd better make him a burrow. I'll bet Scotty, Kirk and Bones never anticipated that. 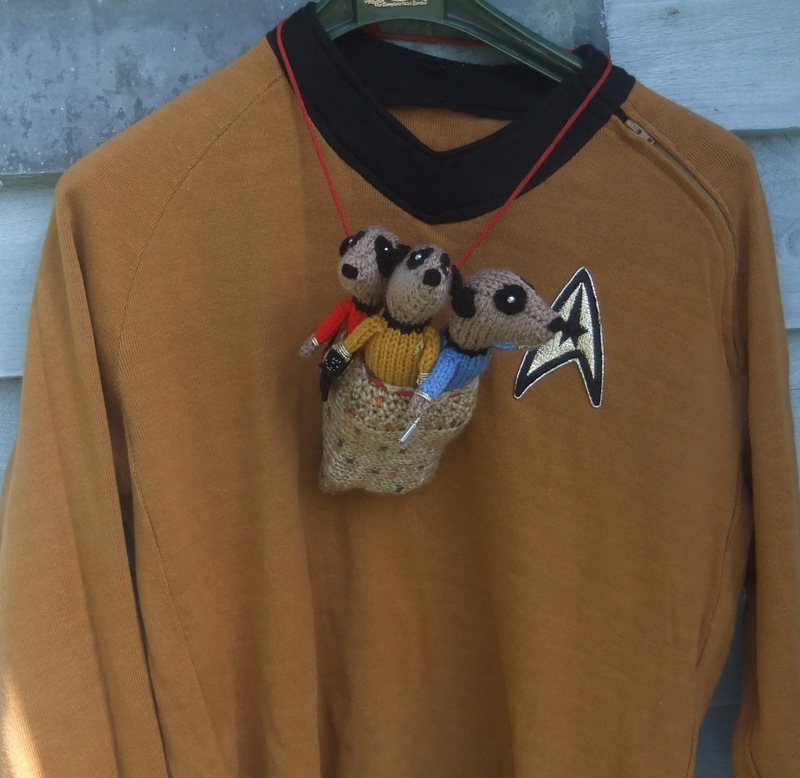 Come the day it'll actually be Tuvok, Riker and 7of9 snuggled up in the burrow...what can I say? Have fun Barry! In case you're wondering, yes that is my Original Series command sweater. And no, I won't be putting it on any time soon to show you! Live long, and prosper.